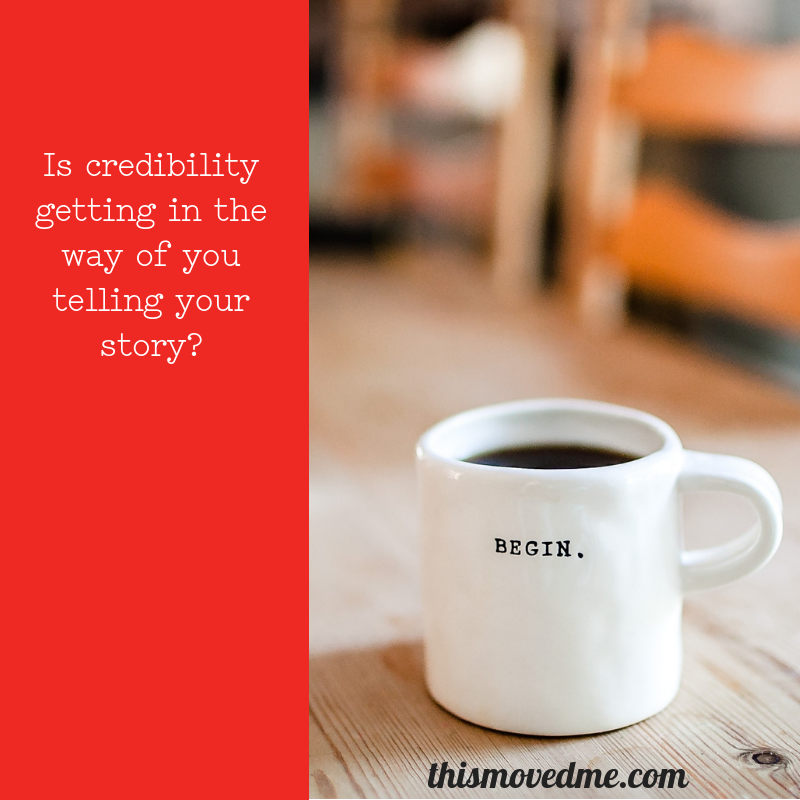 Credibility is getting in the way of you sharing your story. What will they think of me if I share that one experience that doesn’t put me in the best of lights? What if I talk about how I failed? What if I share my biggest mistake?… will they still respect and admire me? Especially in a work context, too many of us - to protect our credibility - stop short of sharing what’s real. And I get it! There is a reputation to uphold. But if our goal is to connect with an audience… and I believe that it is… then we have to get our focus on credibility out of the way. In most cases, it is not helping us. It is keeping us from really showing up, being real, sharing our true stories, finding the humanity in our work, making real connections between colleagues, and helping our audience understand the journey we’ve been on. I remember one of my clients - a really wise and accomplished CEO - was writing this talk for parents. He is awesome - a great speaker and good man…He’s hilarious and goofy and wise. But he was so hesitant in sharing his failures. He didn’t want to look stupid, or less capable, or unaccomplished. But the result was he was wayyyyy up here… untouchable. Way to be awesome. And the audience was down here - struggling - and felt like…. We’re too different. You don’t know how hard it is. Or even worse - the audience feels extra extra crappy because they’re nowhere near the flawless approach he had. As an audience, I’m glad to know that you know your stuff. Good, check - and then can we be done with that bologna? Once you have my TRUST that you have a basis of knowledge…. well, now I want to CONNECt. To believe that maybe I can get through to the other side. Which means that you, as speakers, have to share the journey you’re on. Which means throwing a little bit of the credibility concern out the window. And trust that your humanness is a really powerful connector. Origin stories that are grounded in our real, messy, beautiful stories that we’ve survived are powerful connection points - and the catalyst to people listening to you in a real way. Sign up to be the first to know when the doors open on the Speaking Story Movers-U course! We are keeping the class really small, so you don’t want to miss out! GET ON THE OWN YOUR SPEAKING STORY WAITLIST! What keeps us from telling our stories? The credibility problem we REALLY have.